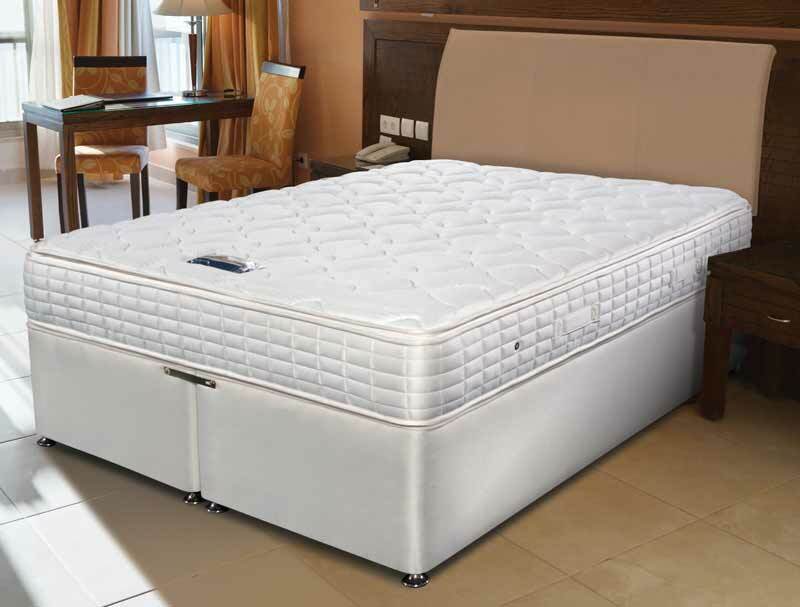 The Sleepeezee Hotel Suite 800 pocket spring divan bed offers a pocket spring mattress with a non buttoned or tufted top mattress but a micro quilted cover that houses 800 pocketed springs in a king size mattress along with fire retardant to crib 5 contract standard foam and fibre fillings. This non turn mattress sits on a platform top hard base. Like all contract beds drawers are not a option as everything comes without storage.